Planet of the Apes slot is a great branded release done by Net Entertainment. With the branded slot games, NetEnt are able to make some of the most creative and innovative slot games in the industry. 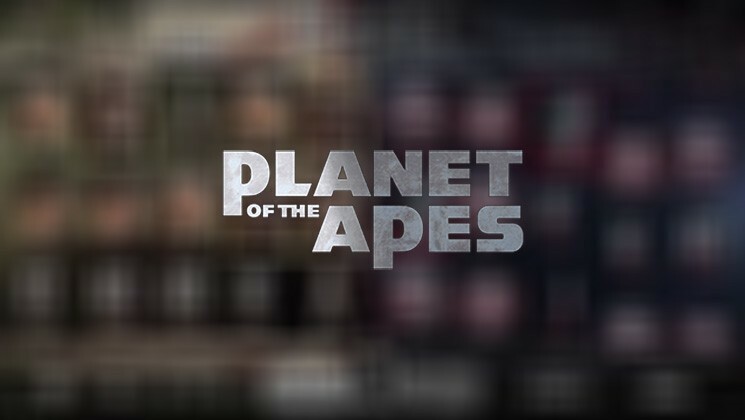 Planet of Apes makes a good slot game that has multiple features that will make your wager worthwhile and rewarding. With the free spins and bonus features like dual feature and staked wilds, you will have increased chances of growing your winnings thanks to the 5×3 reels and the dual feature that’s unique to NetEnt slot games. Before investing real money players can try Planet of the Apes Slot for free, or visit any NetEnt casino such as: Royal Panda Casino, MrGreen Casino, Chomp Casino and others to play with real money and win. 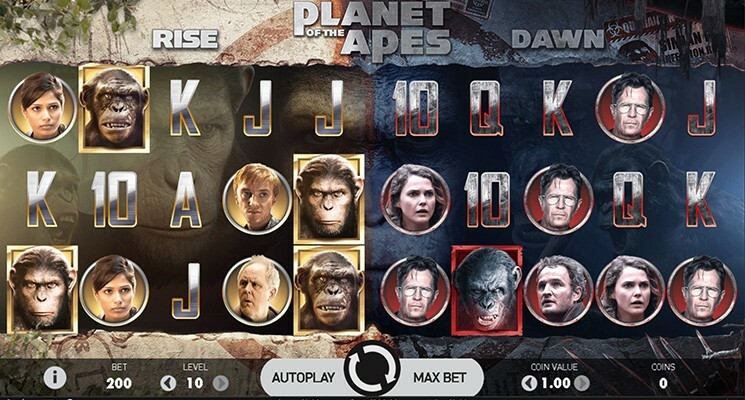 Through an exclusive deal, Planet of the Apes movie series and NetEnt signed a deal to develop the slot game. This new creating is what we are currently enjoying on our desktop computers and mobile devices. The interface was unique and the slot set up was different from what we are used to. The 5×3 reel setup is something similar to two slots running together but you are only required to spin the reels once and the two boards will start spinning. If you’re keen enough, you will notice that the first set of reels is names Rise while the second one is named Dawn and they are named after the 2011 and 2014 Planet of the Apes movies. When playing the slot you will realize that the characters in the movies have been added to the slot as symbols, as well as, cut scenes from the movie to make your gaming experiences better. With such an impressive development, there is no reason to compromise on the artwork as well as the graphics. When the two sets of reels are spinning, they are mostly running as independent entities but there must come a moment where the two will crossover. This assumption will come to play with the dual feature which will at random activate after you choose to spin the reels. The reels will not halt but they will gain speed and the apes will flock to the screen and this will be the start of the dual feature. The rise and dawn grids will get a symbol at random and they will both start to land on one of the two sides as the reels are turning. The assigned symbols will remain on the boards and those that land on the opposite side will move. When there are no more symbols landing on the area, calculations for the win will done and chances are that it will be a huge win. Other rewarding features are the stacked wild features and the rise and dawn free spins feature.